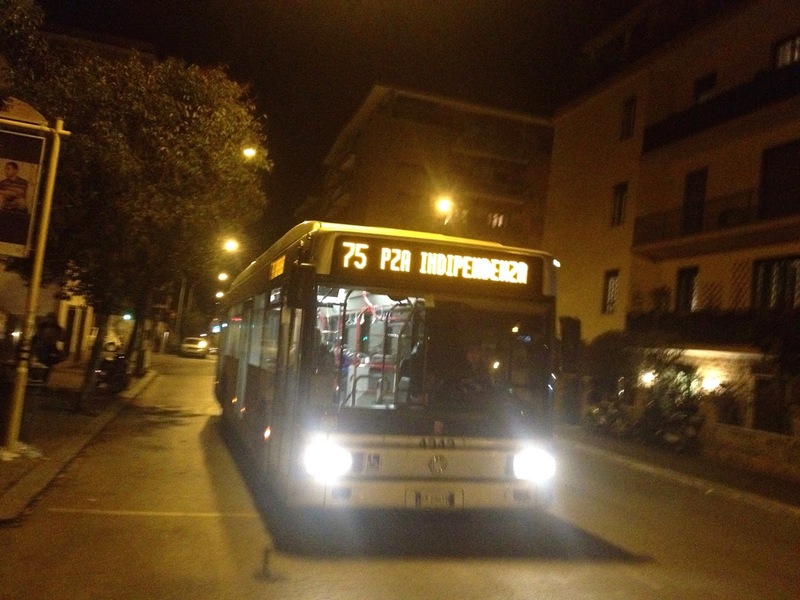 On your next trip to Rome, take the 75 bus. It’s a great deal. If you start at Termini which is Rome’s central train station and right down the block from the Piazza Repubblica, you will pass the Colosseum and Tastevere before the bus makes it’s way up the Jiniculum Hill (or Gianicolo in Italian). You literally go from lo to hi in every sense of the word, in the meanwhile passing some of the great monuments of antiquity. All major cities have their tourist buses and obviously Rome, which is not only the capital of Italy, but the tourist capital of the world, offers slews of guided tours. 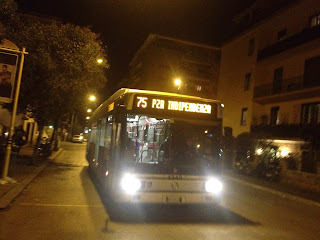 But if you want to mix an appreciation of the past with a real dose of how life is lived for the average Roman, then the 75 is the bus for you. At night, after rush hour with the cobbled stoned streets rumbling underneath, the journey will be over in less than a half hour, but even during the day, Rome is miraculously free of the kind of gridlock that makes traveling through midtown Manhattan in a bus or cab, an ordeal. So the 75, which crosses the Tiber at Ponte Sublicio, seems to follow a steady and uninterrupted current, as if it were floating down it’s own self created river. If you're going in the direction Puerio/Marino, which is the opposite way from the Piazza Indipendenza, the last stop on the other end of the line, you may want to get off, as the bus goes through an ancient arch and then turns onto the Via Carini. From here you can easily walk to the Via San Pancrazio, that leads to the top of the Gianicolo and a view that puts all of Rome in perspective.